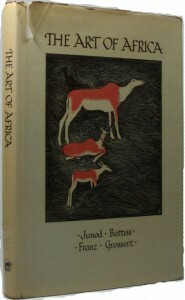 This book opens by introducing the development of the study of African art, delving into the history of African artwork, rock painting and ancient sculpture. It gives European Sources of African Art history and deals with the Egyptian influence in Africa, and the understanding of African Architecture, Sculpture and the state of African Art today. A beautiful picture book and at the same time an authoritative work. 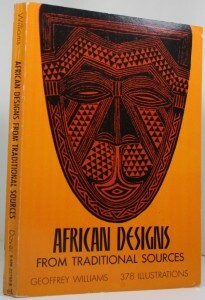 African Crafts and Craftsmen is about the traditional crafts of West Africa and the people who practice them. Though they are very much alive today, these crafts are also immediately threatened, and it would not be an exaggeration to say that in the forseeable future, the life-styles and arts documented in this book will have disappeared. The aim of this book is to present a sampling of the best in African art and design on the level at which it is finally judged—its own vigour and life. Such a work can never fully document all that the Dark Continent has produced, but it is hoped that a glimpse will be had, and a record will be maintained, of an art that can be both frighteningly barbaric and eloquently beautiful. The original plates for this book have in the main been produced by lino cut prints. 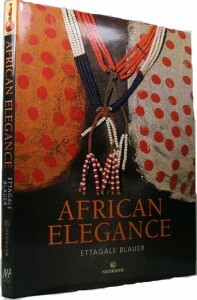 The people of sub-Saharan Africa have created an extraordinarily sophisticated and rich heritage of artistic expression, Their arts and crafts are celebrated the world over, and their elegant objects are highly sought-after.Drawing on many years of experience and travel in Africa, the author has put together this fabulous volume in order to display the masks and ritual objects,the beaded ornaments and the intricately woven fabrics that chronicle the deeds of warriors and kings, a truly beautiful book. There is nothing arbitrary about art and craft in Africa: each African art object draws upon the fundamental myths of the collective experience, while respecting aesthetic and symbolic norms, and they are almost always the product of ancestral techniques. Presented by theme, the magnificent objects in this book, chosen from more than a hundred ethnic African groups, express a wealth of aesthetic and technical solutions. Not many people realize that virtually all African art has a definite function and significance, and that to Africans, African art is the visual representation of the invisible and transcendental. Dr Sannes has written this book with the aim of increasing our knowledge and understanding of it’s meaning. A simple booklet issued by the Pitt Rivers Museum. 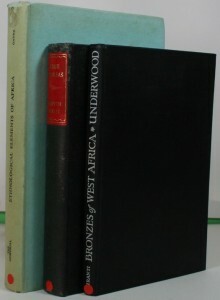 With illustrations showing the various artifacts and treasures of Guinea, Sierra Leone, Liberia, Ivory Coast, Voltaic Republic, Nigeria and Benin. Each object is numbered, with pages of matching text. This item should really be described as a Museum catalogue. 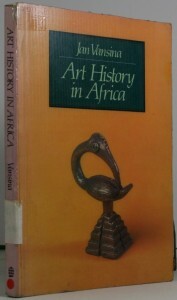 The history of African Art works is still in its infancy. 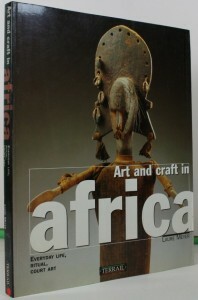 This book provides a systematic method by which an historical understanding of African art can be achieved and uses numerous photographs and drawings of objects from the entire continent to illustrate the questions findings and arguments raised. 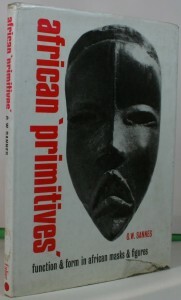 One of the great merits of this book is its thematic approach to the subject of Black African Masks, pottery, bronze, ivory, gold, statues of ancestors, relics and jewellery, all express the influence of myths on the daily life and inventive genius of more than sixty ethnic groups. This book covers each subject in turn, and is magnificently illustrated in colour. 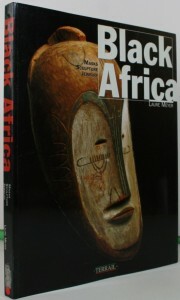 It examines, in a clear and accessible manner, the entire range of Black African art from aesthetic and ethnological points of view. 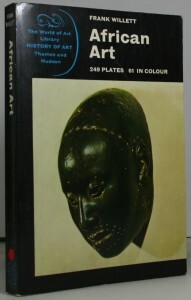 For those interested in the art of sculpture, and more importantly, African ancient metal works as an art form, will find this little book of some interest. 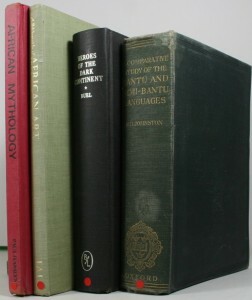 It is a serious study of West African Bronzes from Ife, Tada, Benin, Andoni. Dahomey and Ashanti. An interesting little study. “My Eland’s Heart” brings together the art and stories of seventeen !xun and Khwe artists who live and work in South Africa. Members of two San communities that were displaced by decades of war in Angola and Namibia and recently resettled in the semi-desert of the Northern Cape. These men and women belong to the !Xun and Khwe San Art and Culture project. 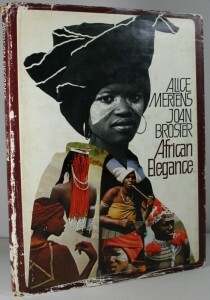 Their work is becoming increasingly well known and appreciated in both South Africa and abroad. 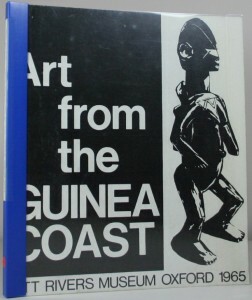 African art is known as one of the casualties of colonial exploitation. Surviving principally in the museums of other continents, never seen by the people who created it, what reappears among African artists today is regarded as a renaissance of a destroyed tradition. This book is a revelation, not of that renaissance but of a glorious continued existence, under the most destructive forms of physical and psychological hardship imaginable, of an artistic culture at the very centre of life itself. From the Institute of Ethnography, Leningrad. The first works of art that were brought to Europe from Africa were so beautiful and so technically advanced that they were greeted with amazement and disbelief. 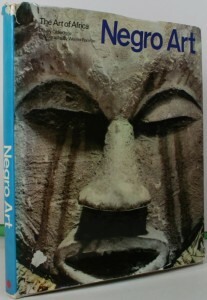 This book covers mainly the immense range of central African art throughout its development from early cave paintings to the present day, and from the peaceful figures of the Baluba to the threatening, fear-inspiring statuettes of the Bakongo. The Sande society of the Mende is a widespread secret female regulatory society that both guards and transmits the ideals of feminine beauty which comprise the fundamental aesthetic criterion in Mende culture. 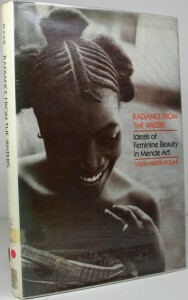 The Sande initiation camp is conceived as a realm beneath the waters, a domain from which beauty and art emerge,a sacred space where women rule.In this eloquent and moving book, Sylvia Ardyn Boone describes the society, its organization, some of its rituals, and finally the mask worn by its members–an archetypal African sculpture called the Sande Sowo head. 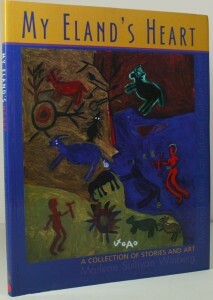 Four authors, each an authority on certain branches of African native art and crafts teamed together to produce this book, to provide a background of understanding to the ethnological, environmental and inspirational sources of indigenous African art. 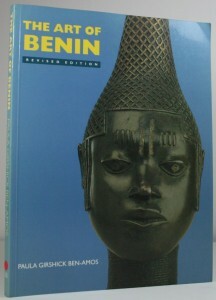 During the 15 years since this book was first published, there has been a flowering of research in the study of Benin art, with more than 40 or more books and articles, nearly all of the same date. Here is a book that is a study of artistic creativity and gender, and includes an increase in research on the history of both brass and ivory art forms. It deals with the history of art in the Benin Kingdom, that was brought to the western public’s attention in 1897. 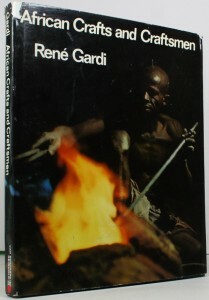 An interesting book for the those who study fine art and sculpture. 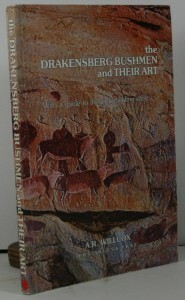 A guide to Bushmen’s art along with a guide to all the various sites where it can be seen. There is also a guide to the various hotels, guest-houses, and caravan parks, that will supply the visitor with his every comfort. This book visits the area of the eastern Cape known as the Trankei the home of the Xhosa people who’s customs and conditions form a rich repository that, alas, is steadily being depleted as the young who leave the paths of the old world, for the highways of the new. It was to this old world the authors journeyed with pen and camera to capture for posterity of the face of a vanishing era. 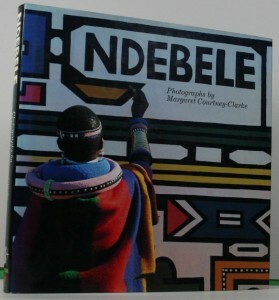 This book is a fascinating record of the art and artistry displayed through the dances, beadwork, facial markings and crafts of the peoples of the Gcaleka, Tembu, Pondo, Bomvana, Mpondomise, Bhaca, Xesibe and Fingo tribes.